Because vacations can make your wellness routine a challenge, luckily, there are charter yachts with a spa that can remedy that issue. Most of what you probably know about yacht chartering involves total relaxation, while being spoiled by a private chef who can make you anything and everything you’ve ever wanted to eat. While this may be true, there is the perfect solution to help you strike a balance – and even keep your routine – while on vacation. Charter yachts with a spa can offer itineraries to promote wellness, eat healthily, and fill your days with active excursions both on water and land. 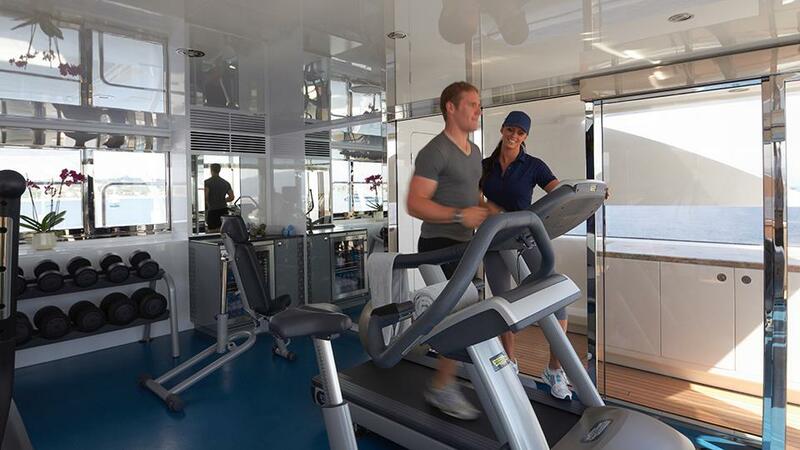 Fitness centers on the yacht – indoors or out – are available for you to sweat it out while taking in the stunning views of the open ocean. Working out now becomes inspirational, and goals seem more attainable. After you reach your peak of strength, take a dip in the pool, or even jump straight into the ocean. To relax your muscles before you get onto that massage table, soak in the on deck Jacuzzi where water jets apply just enough pressure to remind you that you deserve to relax after that tough, physical challenge. 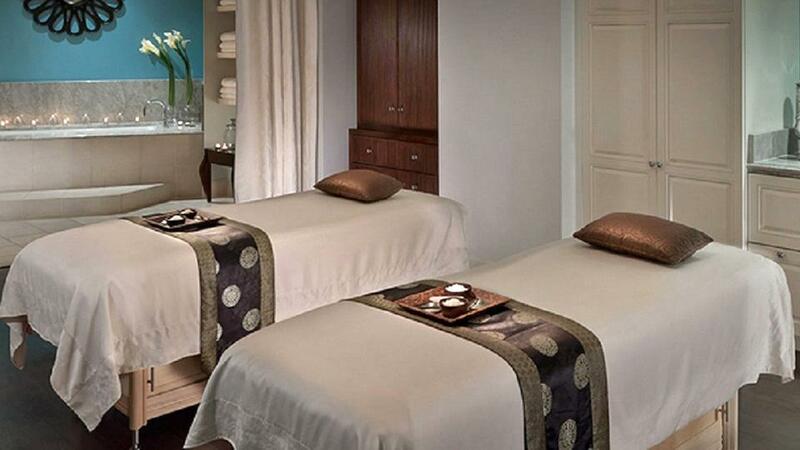 On charter yachts with a spa, the crew are often trained in aesthetics, massage, and exercise such as yoga or Pilates. Often, a yacht with a helipad is the perfect place for your morning Pilates class, while the boys are off exploring the island aboard the yacht’s helicopter, to arrange that perfect evening beach party. Just about all of the activities you practice in your daily life can be enjoyed on a wellness charter. The fitness area onboard is not the only place where you can challenge your abilities. Water toys available on charter can serve as the ideal workout tools. 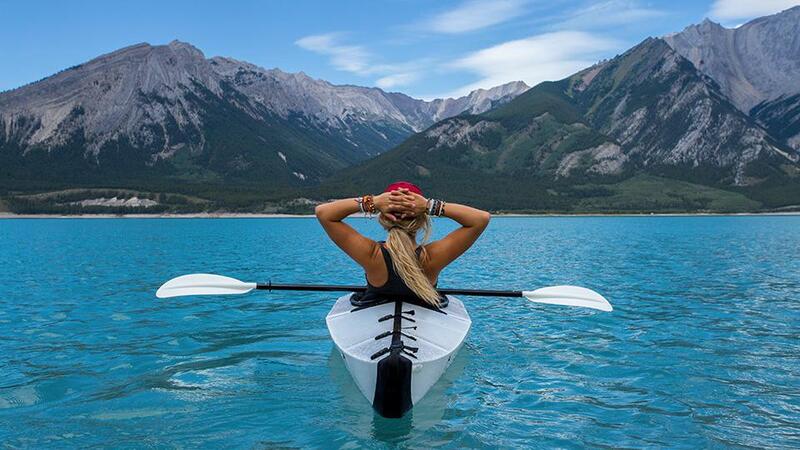 Beyond just swimming, you have access to paddle boards, kayaks, or even a water trampoline that helps you work muscles in ways you never could. There is nothing like yoga on the beach club to help focus your energy and stretch your troubles out. Have food preferences or a special diet that no one has ever heard of? 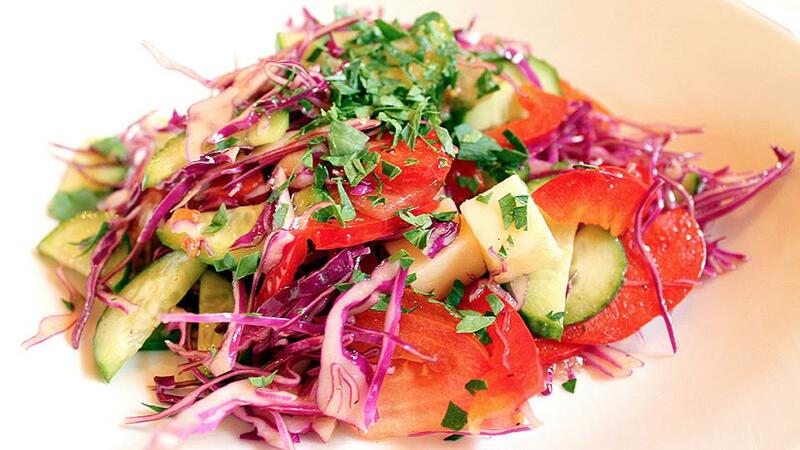 Rest assured, your private chef is on point, and can create tailored meals you don’t have to feel guilty to enjoy. Before you book your wellness charter, work with our charter specialists who will note all of your preferences and restrictions so that you can leave them in the hands of your crew. 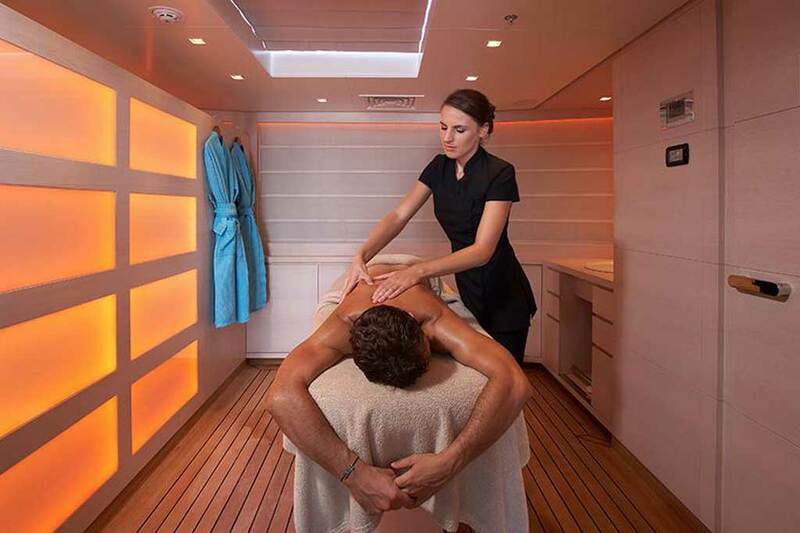 Many charter yachts with a spa include anything from a sauna, steam room, massage table, and of course, a trained expert on how to help you best relax and get the most out of your time on board. Crew may also be trained in more rigorous exercise such as CrossFit, or weight training. These conveniences are purposely created to beget the ideal yacht charter vacation. In fact, you may never want to leave.